Guinness has long been part of Dublin’s history and it’s not just the drinking of the black stuff that we’re talking about either. There’s all the industry and activity that surrounds its brewing and its distribution too – and all the memories that are associated with them. 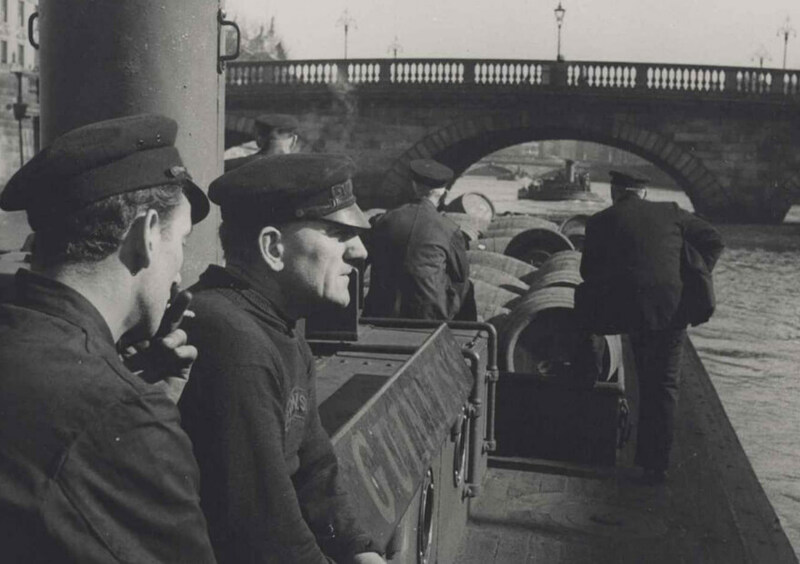 Up to 1961, for instance, the barges transporting wooden casks of Guinness along the Liffey would have been a familiar sight. In those days, of course, the Liffey did more than just divide the city in two. It was a major thoroughfare as well. There were six Guinness barges, each named after a Dublin suburban locality: Castleknock, Killiney, Sandyford, Howth, Clonsilla and Seapoint. The bargemen had to avoid sailing during the hours on either side of high tide if they were to fit under the river’s low bridges. Barges carried the beer from the brewery at James’s Gate to waiting ships at the docks. The Royal and Grand canals were used to transport Guinness into the heart of the country. 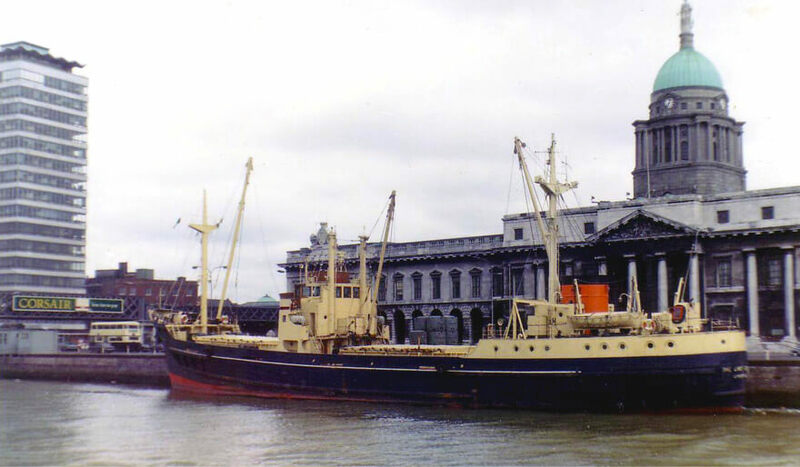 The Guinness Fleet of ships in Dublin, better known as the Guinness ladies (1952 – 1993) was made up of three ships – the Lady Grania, Lady Patricia and Lady Gwendolen – each named after a member of the Guinness family. Later, the fleet was joined by the Miranda Guinness, another beautiful name for a ship. The fleet shipped Guinness in bulk from Dublin to the English ports of Liverpool, Manchester and London. From those ports, Guinness was supplied to the rest of the British market and bottled for export to other countries. The men that were employed by the company to work on the fleet became known as Dublin’s ‘Cross Channel Gangs’, and the Guinness ships became a familiar and popular sight in Dublin Port. A less well remembered sight around these times was that of the ‘The Guinness Hoggers’. After the barrels of Guinness had been emptied in Liverpool or London, the empties would be brought back to Dublin and unloaded at Custom House and City Quay. This is when ‘The Hoggers’ would emerge. The hoggers were men looking for a free drink – or a few! They would hang around the quays, looking for discharged barrels. When official eyes were looking the other way, the hoggers would shake the barrel. If they heard a swish, they knew they were onto a winner. They’d spill the leftover contents of one barrel onto the top of the rim of the second barrel, bow down their heads and drink straight off the top. The barrels were marked with red paint to indicate their contents. This paint or ‘raddle’ was a particular red colour, which would often stain the drinkers’ beards red. If they returned to the pub, they’d be caught red-bearded – to the amusement of their mates, no doubt. Similar groups, called ‘woodeners’ or ‘boilers’, targeted empty whiskey casks. They scalded these with boiling water to extract the last of the spirit from the wood. The barges transporting Guinness on the Liffey, The Guinness Ladies, The Guinness Hoggers: they’re all too easily forgotten nowadays. So we just thought we’d remind you about some of the little details that helped to shape the city that we know today. You’d be hard put to find a free slurp of Guinness these days, of course. But next time you’re in a quayside pub, why not take the opportunity to raise a pint to The Lady Gwendolen – or Miranda. Perhaps you seek refuge from the clamour of the city? Then head away from Stephen’s Green. Walk up Harcourt Street. Take a left. And approach the gates at the end of Clonmel Street. Enter. And breathe. Around you are green lawns. Trees, Fountains. Statues. A rose garden. A maze. A grotto. An elegant promenade. And, crucial to our purpose here, not very many people. Indeed, mid-afternoon of an autumn’s day you may very well have the place to yourself. The place is Iveagh Gardens. It’s a Victorian park. So is Stephen’s Green, of course. But the difference in the atmosphere is pronounced – a direct result of its history.